Lady Hope Beaumont tries to rekindle the magic in her marriage with a trip to Paris. But when she returns she must investigate a mystery that threatens her husband’s business. Hope’s headstrong daughter Ophelia is tested by both tragedy and war, and will need all her courage to come through. Find out how this family copes with the momentous times in this gripping historical romance novel. 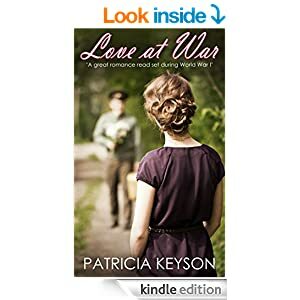 LOVE AT WAR is the stunning sequel to Patricia Keyson’s best-selling romance “The Magic Touch” also available on Amazon.